Heart disease is the leading cause of death for both men and women in the United States. About 735,000 Americans every year suffer a heart attack, and heart disease is also a major factor in disability. What’s more, heart disease isn’t just happening to older people. It’s happening to more young adults as well, largely due to increasing rates of obesity and high blood pressure in the 35 to 64 age group. 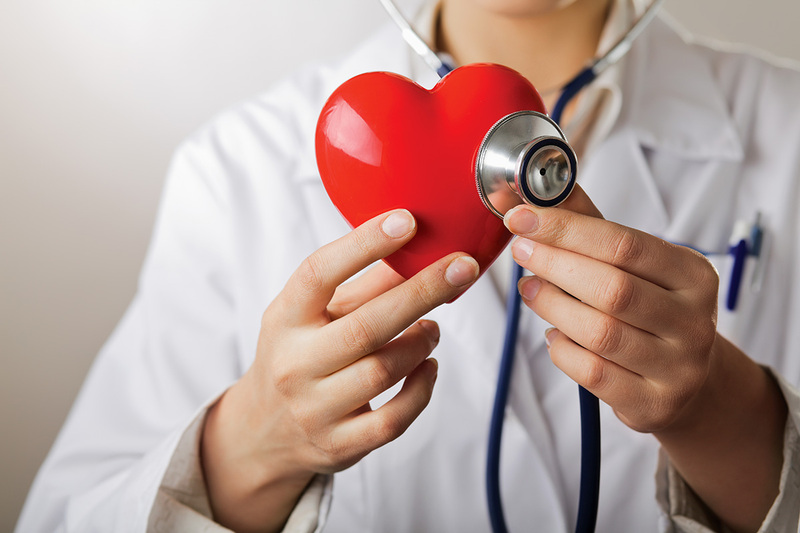 February is American Heart Month, which focuses on awareness of heart disease and heart health. It’s a good time to evaluate your risks and take steps to improve your heart health. While some heart disease risk factors cannot be controlled (such as those caused by genetics), there are many factors that you can control. In fact, half of all Americans have one (or maybe more) of the major heart disease risk factors, and these are factors you can do something about: high blood pressure, high cholesterol and smoking. High blood pressure. Millions of Americans suffer from high blood pressure, about half of whom do not have it under control. This is one of the biggest risk factors for heart disease and stroke. While some people with severe high blood pressure may have symptoms (dizziness, dull headaches, nose bleeds), generally high blood pressure causes no symptoms as all. That’s why it is called “the silent killer”. High blood cholesterol. This is a condition caused by high levels of certain bad fats in the blood. The buildup of these fats is usually caused by diet in combination with genes. Smoking. Chemicals in tobacco cause damage to the blood vessels, resulting in heart disease. If you don’t smoke, don’t start. And if you do smoke, it is never to let to quit. On the positive side, just one year after quitting smoking your risk of heart disease significantly reduces. Obesity. Excess weight stresses the heart. It also increases blood pressure and your chances of developing other heart-disease related conditions such as high blood cholesterol and high blood sugar (a cause of diabetes). Diabetes. The increased sugar buildup in the blood caused by diabetes can damage the nerves and blood vessels that are part of controlling the heart muscle. In fact, diabetes is very common; about one in 10 people in the United States have it. While heart disease is a wide-spread and life-threatening condition, the good news is that you can control certain factors. You can manage health conditions and make heart healthy choices. It can be helpful to do this by working together with your doctor and your family to get the care and support to make your life healthier. Manage your health conditions. Work with your health professional to get high blood pressure, high blood cholesterol and diabetes under control. This may require medications, but conditions such as these can also be greatly controlled by diet and exercise. Practice portion control. Eat until you are satisfied, but not overly full. Take a pause before you eat more. It can take the brain up to 20 minutes to process the fact you are full. Take advantage of the support of your family, friends and community to help you quit smoking. In addition, check out the tips and resources below. Talk to your doctor about getting help to quit smoking. Read online about tips to quit smoking. Check out helpful online information on quitting smoking. Check out best quit smoking apps. Stay active. The recommended amount of exercise for heart health is 30 minutes of moderate or 15 minutes of vigorous activity five days of the week. If necessary, you can fit this in by breaking it up, and doing, for example, three 10-minute sessions. If organized exercise is not for you, or you don’t have the time, get creative. Walk the stairs, park your car farther from your destination, and take a brisk walk to and from the car. Make exercise a family affair. Get your kids involved. Bike, walk, play tag, dance together—everything counts! And the more movement, the better. When you experience the benefits of exercise, you may choose to increase your activity. You don’t have to join fancy gyms. Check out the local town recreation center, or YMCA. Some community organizations such as these are free, or will offer membership at a discounted rate.